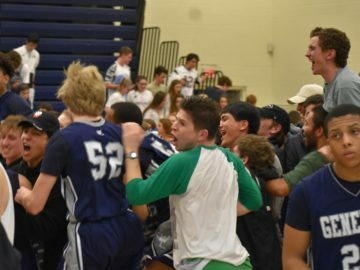 Jubiliant Washington-Lee fans storm the court after the boys Generals fans storm the court after the guys' victory. 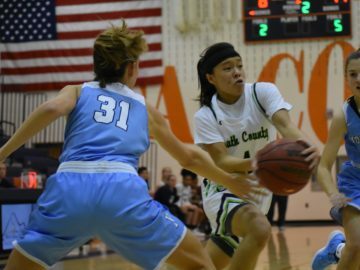 Electric point guard Gabbi San Diego (eight assists) splits two Yorktown defenders in the first half Saturday night. 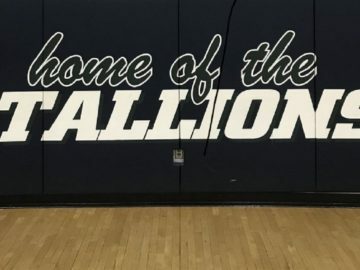 The Titans' Trinity Palacio burned opponents all year with her outstanding quickness and court savvy. 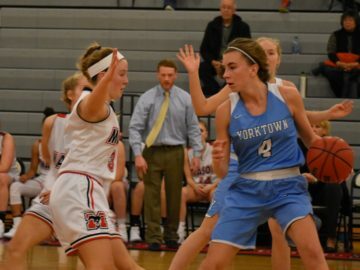 Madison's Carolina Brusch (left) and Tedi Makrigiorgos apply the trap in the first half of Tuesday's win over Yorktown. 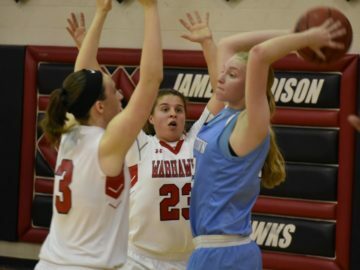 George Mason defenders close in from all directions on Yorktown's Maggie Shipley. Shipley had 19 points, but it wasn't enough. 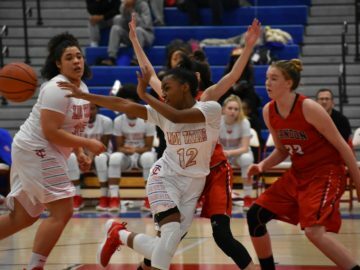 Jaelyn Batts was dominant for the Eagles this year, averaging 18 points per game. 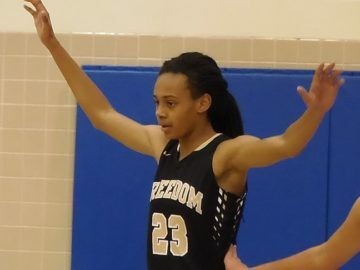 She also often racked up rebounds and even assists. 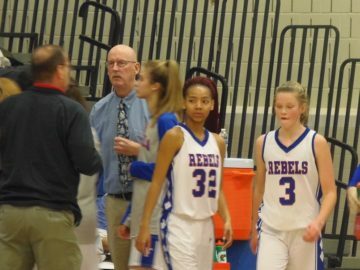 Seniors (left, Natasha Porter) play alongside freshmen (Samantha McNaughton) in Fairfax's rotation.